The cast and orchestra of Echoes Never Die, written by LHS senior Alex Lambert, rehearse in Logan High School's auditorium. Logan High senior Alex Lambert, the son of Dr. Greg and Julie Lambert, has always dreamed big. Currently the student body president of Logan High School, Lambert has played Grizzly baseball, served on the newspaper staff and sung with the “Crimson Colony” choir. He has also been actively involved in theater. On March 23, 24, and 27, Logan High School will present Lambert’s original full-length production, <em>Echoes Never Die, A Musical Tribute to Logan High School</em>. Featuring a cast of 32 students and a pit orchestra, the show has been almost entirely student-driven. Lambert said the idea behind it was born last June, when student body officers were discussing ways to commemorate Logan High School’s 100th anniversary. <em>Echoes Never Die</em> is a work of historical fiction, with Logan High circa 1941 as its backdrop. If there was a book behind the script, Lambert said, it would be based on the school’s 1942 and 1943 yearbooks. While most of the main characters in the show are fictional, two actual teachers from the era, Glen Worthington and Inez Maughan, are represented. <em>Echoes Never Die</em> likewise reflects the atmosphere at Logan High School as its student body faced the looming uncertainty of WWII. As U.S. involvement in the conflict increased, Logan High’s band played at the train depot for military draftees on their way to basic training, and students organized a project called “The Homefront,” where they gathered stamps and metals, sold war bonds and served refugees. Lambert then composed 12 original show tunes to accompany the script—with marches, jazz and classic musical theater—along with several arrangements of “Hail to Logan High,” the Grizzlies’ official school song. Lambert is quick to acknowledge the help he’s received to bring <em>Echoes Never Die</em> to life. Codirecting the show is Clarity Perry, a 2016 Logan High graduate. Patrick Grob, a senior at LHS, designed the set. The music was orchestrated by Samantha Armstrong, also a senior, with the support of John Carter, the father of a cast member. 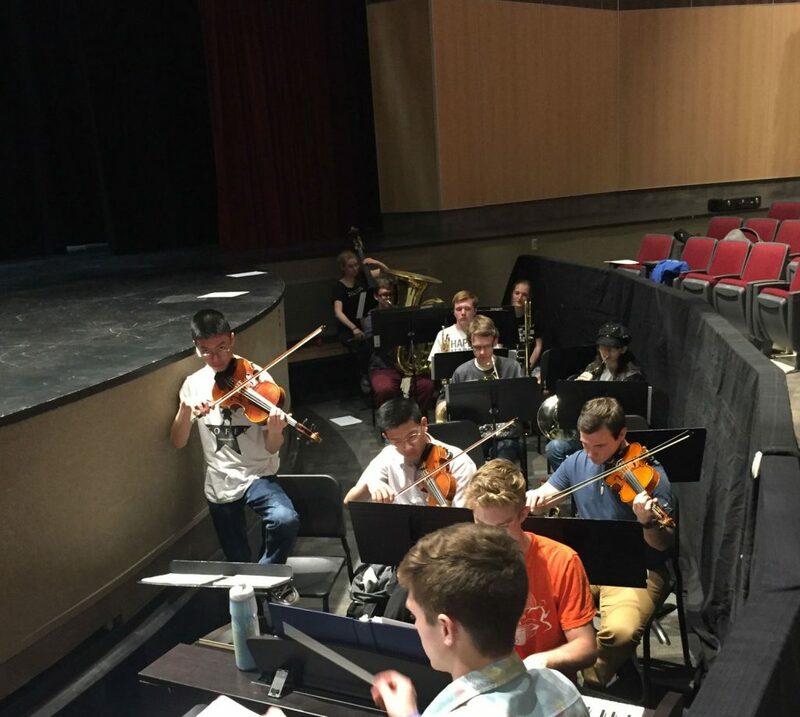 Klara Ricks, a junior at Logan High, spearheaded choreography, and Grob and Jacob Huppi, who plays violin in the pit orchestra, were “invaluable script consultants.” Lambert will fulfill a longtime personal goal by conducting the orchestra. <em>Echoes Never Die</em> takes place in the Logan High School auditorium on March 23, 24, and 27, with each show beginning at 7:30 p.m. Ticket purchases are not required, but donations will be accepted to offset the show’s student-funded production costs. Any excess contributions will benefit the Logan High School Drama Department. Logan High School will present Echoes Never Die, A Musical Tribute to Logan High School on March 23, 24, and 27. 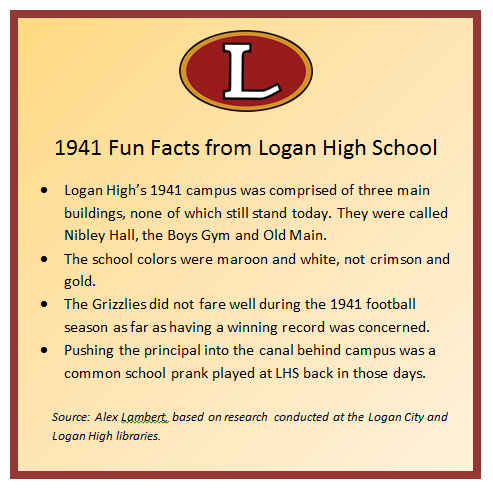 The story takes place at Logan High School, circa 1941, and highlights the school's history. 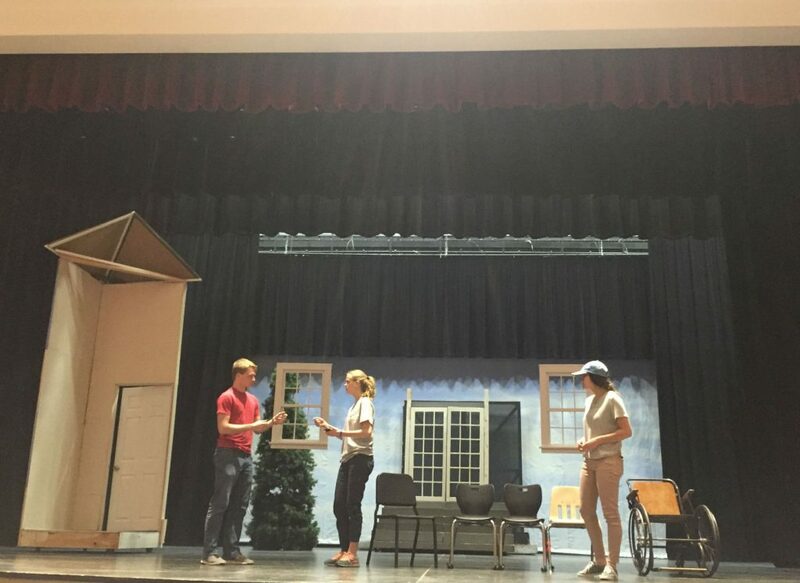 Cast members of Echoes Never Die rehearse at Logan High School. The musical, written by LHS student Alex Lambert, opens March 23. Echoes Never Die, A Musical Tribute to Logan High School, includes 12 original songs composed by Alex Lambert and orchestrated by Samantha Carter and John Armstrong.